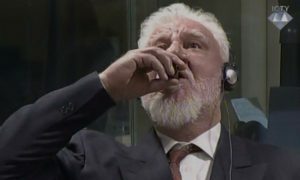 A man was convicted and sentenced to 18 years in prison by a Bosnian court on Thursday for opening fire on a U.S. embassy. The man was convicted of terrorism, according to the Associated Press. The shooting at the embassy in Sarajevo occurred on October 28, 2011 and was carried out by Mevlid Jasarevic. The attack lasted 50 minutes with an automatic rifle. A local police officer was injured before Jasarevic was shot in the leg and arrested. Jasarevic made a video prior to the shooting that said he wanted to force NATO to remove itself from Afghanistan and for Bosnia to end its harassment of his Islamic sect. Emrah Fojnica and Munib Ahmetspahic, alleged accomplices in the attack, were acquitted because the court said that the prosecution was unable to prove that they operated as a terrorist group. The prosecution said that it will appeal the acquittal. Jasarevic had to be taken out of the courtroom multiple times during the trial because of comments he was making. 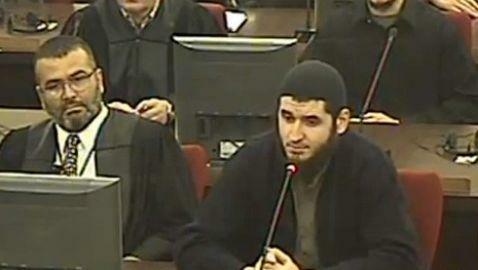 As closing statements occurred he said that the judge can punish him but will not be able to prevent future attacks. “That was not just a message for this court, it was a message for Bosnia-Herzegovina,” Peric said. “The only way for the judicial authorities to respond to his message was to embrace a harsher penalty policy,” Peric said.